Magers-Powell had a dream of playing in the Olympics and playing long enough internationally in order to build a training facility for any aspiring athlete no matter what there SES might be! So her dream come true...1984 Silver Medallist and The Launch Pad was built in 1986. Socioeconomic status (SES) is an economic and sociological combined total measure of a person's work experience and of an individual's or family’s economic and social position in relation to others, based on income, education, and occupation. The only volleyball Olympian that has purchased and build her own training facility without the support of outside investors. That is an accomplishment and testimate of this outstanding women that resides in Huntsville, Alabama. To read about her background review her photo gallery and videos please click here. Director Harry has been coaching and running a gym since 1990. During this period, like everyone else with the exception of traditional martial artist, everyone was training JKD. Harry trained under the tutelage of Richard Bustillo and the late Larry Hartsell; becoming an instructor under Bustillo in 1994. Maybe not a household name now but back in the day with the exception of one other person, they were considered the source if you wanted a true understanding of the different ranges of fighting; or what we call "game" today. Harry has had the privilege to train with some of the best coaches and fighters throughout the world. Most considered household names now; but back in the day it was just a group of people training for the love and desire to understand the principles of fighting. He started training Muay Thai with Fairtex when they originally opened their Gym in Chandler Arizona in 1994 and still continues to train with the camp in Thailand to this day. 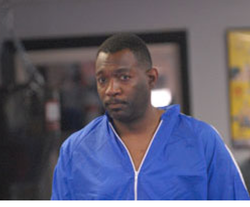 He started training his jiu jitsu with Alliance when Jacare opened his gym in Atlanta in 1998. To this day Harry still continues to travel the U.S as well as the world to increase his knowledge and develop his game.